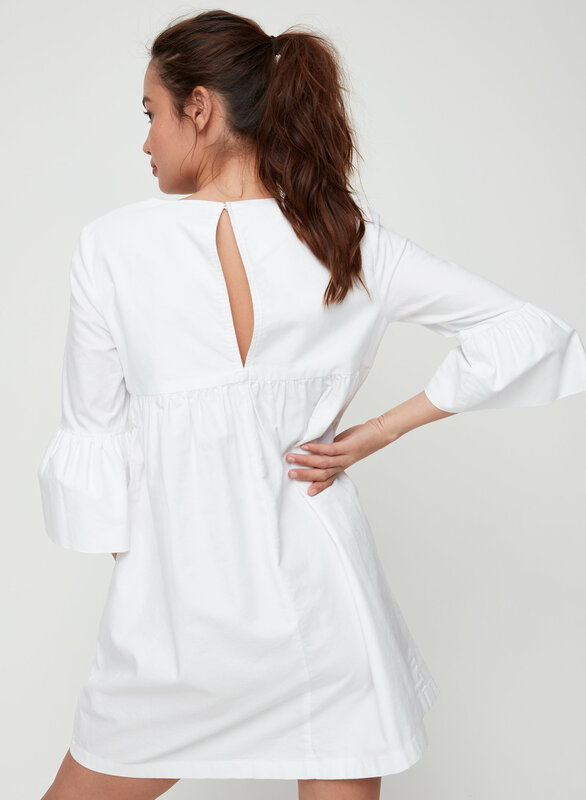 Thanks, it has pockets. 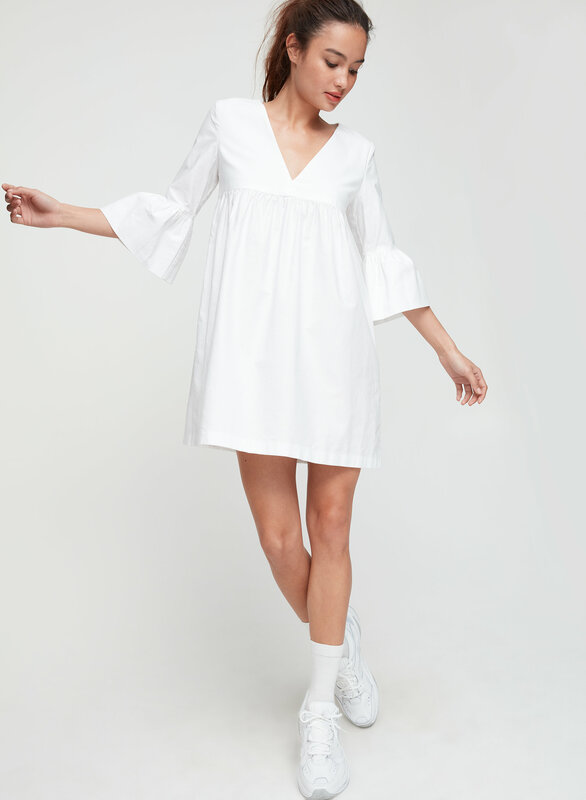 This is a babydoll dress with an empire waist, v-neck and flounced cuff detailing. It's made with 100% cotton. 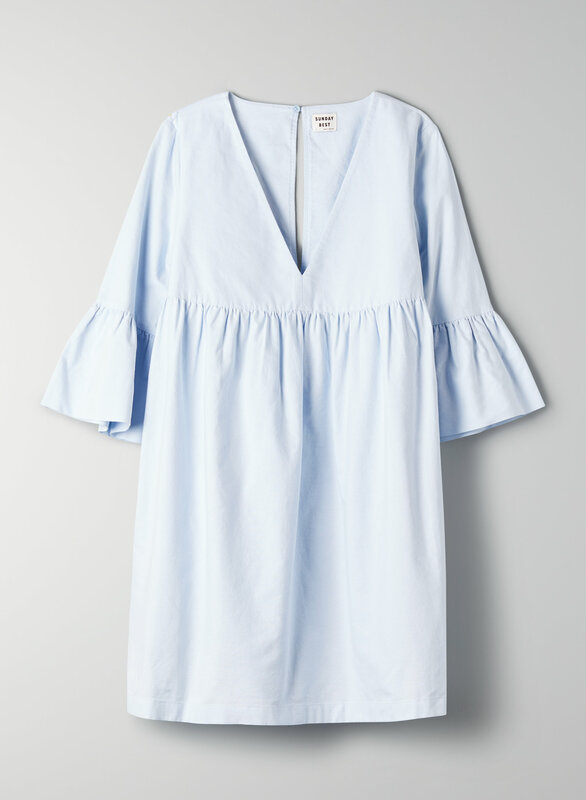 Love this dress - so adorable and the fit and material are great. 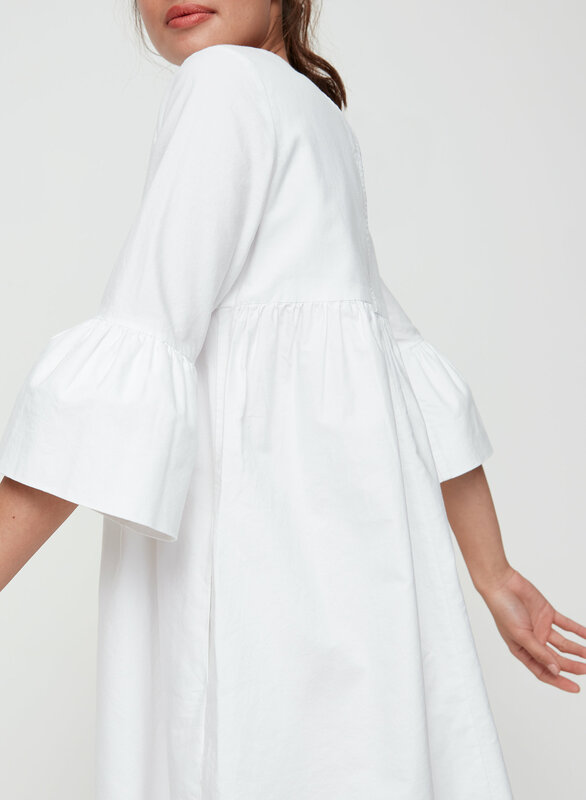 I typically wear a Small in Wilfred, Babaton and Wilfred Free...but the sleeves were very tight on this one. I sized up to a Medium, and it's much better. This dress looked cute on the hanger but is so much more flattering on than I could have imagined. The material is super light and breezy, perfect for spring/summer. It has large pockets and is billowy enough to give a cutesy baby-doll look without looking too big. Very flattering, definitely one of my favourite dresses! Not too much cleavage which is great to wear to work with a camisole. Very pretty lilac colour, and its not too long.. hits me just above my knees! I would say runs true to size, I would not recommend sizing down.